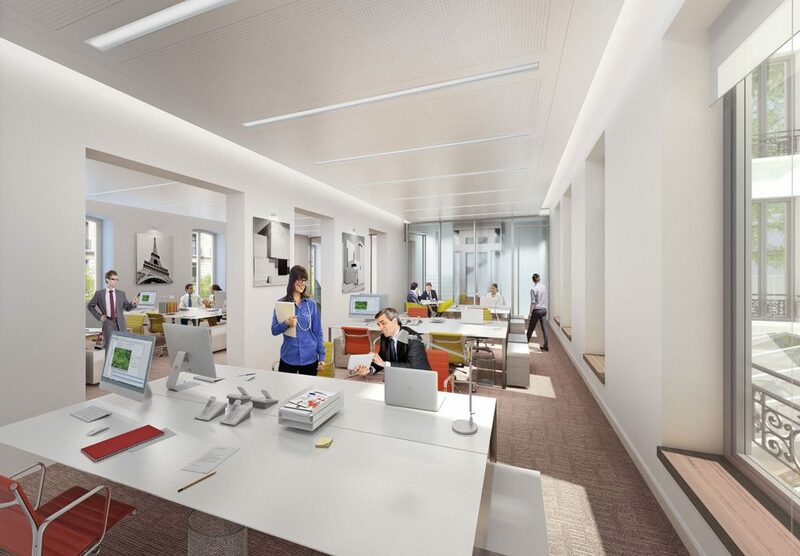 A portfolio of prime, innovative offices to provide our clients the very best. 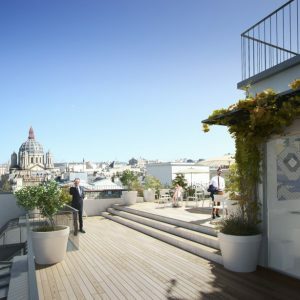 Groupama Immobilier manages a portfolio of offices mainly located in the Paris Region and especially in the QCA (Quartier Central des Affaires – Central Business District). These offices, constantly renovated or redesigned, are spaces with strong identities, in prime locations. 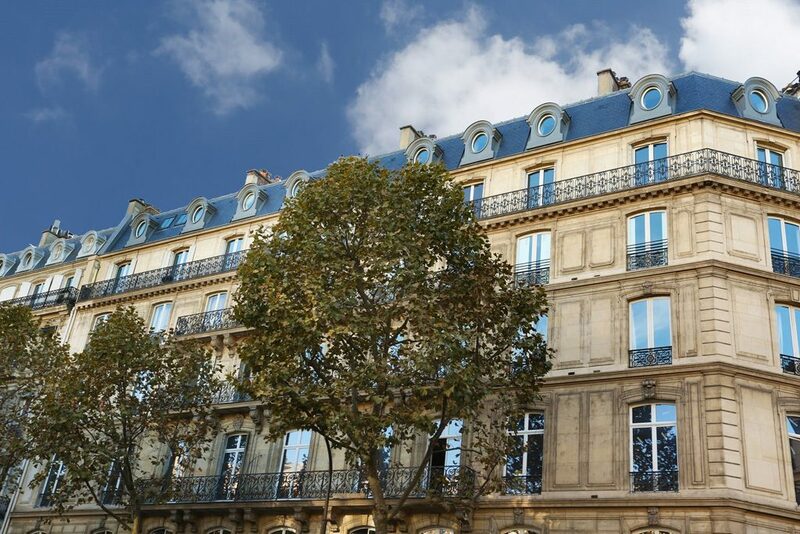 Downtown Paris, with its central business district, and the immediate suburbs are a leading European market for commercial real estate and one of the world’s greatest business centres. 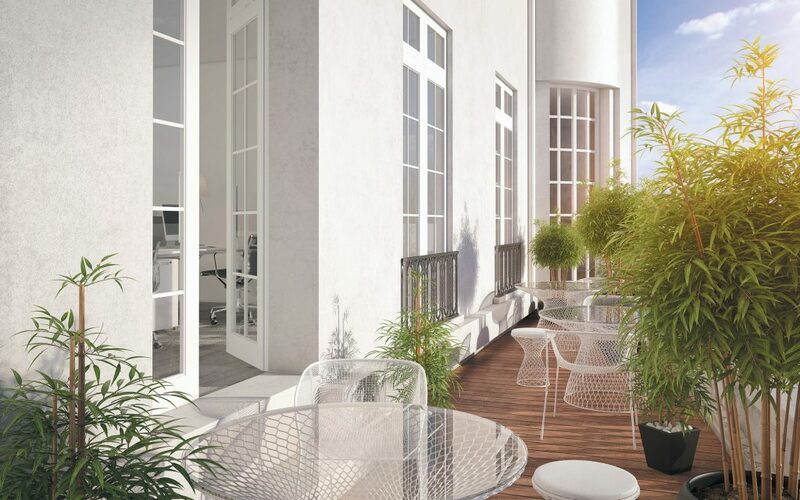 The market’s size, the dynamic players and the opportunities created by the Grand Paris project enable Groupama Immobilier, a powerful and integrated operator, to fully develop its expertise and offer its clients the very best properties and amenities. 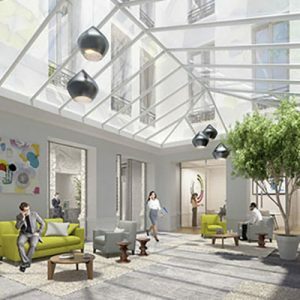 Thanks to steady investment, Groupama Immobilier maintains an offer of flexible, sustainable and energy-efficient premium buildings, along with many services. 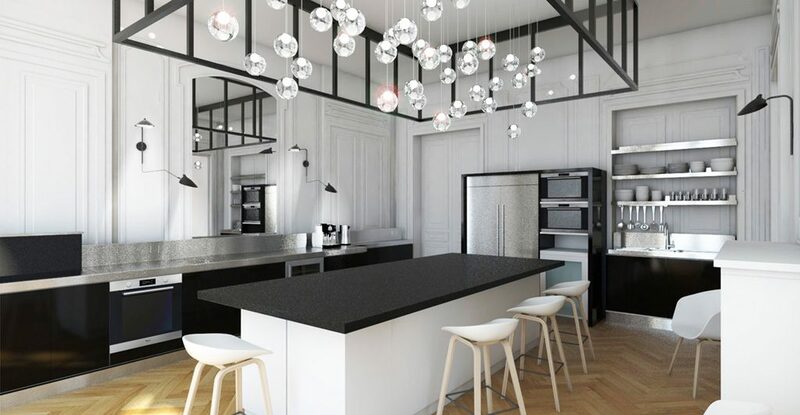 These efforts aim to maximise both the occupant’s satisfaction and the investor’s performance. 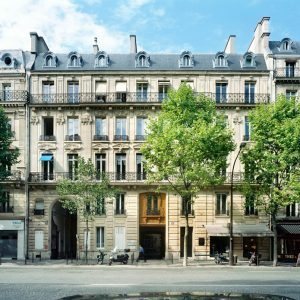 The building located at 9 boulevard Malesherbes, offers a floor surface of 45,000 square feet and combines three types of uses: shops on the ground floor, offices from the first to the third floor and apartments on top floors. The building benefits from a prestigious location and environment with excellent public transportation connections. 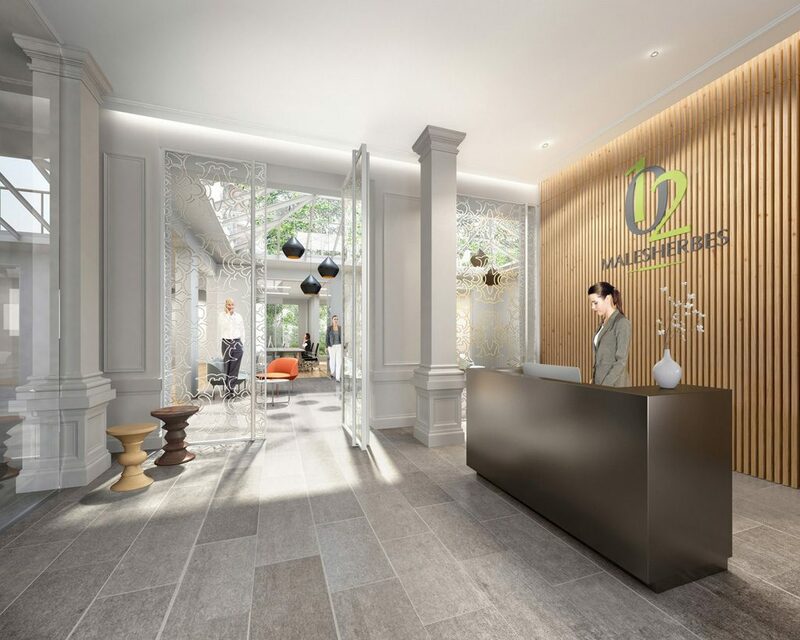 In line with the building’s standing, the common areas have been completely renovated. 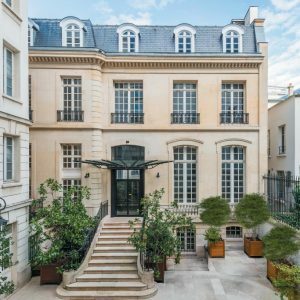 Located on the boulevard named after the world-famous Baron and urban planner, this 37,000-square foot property offers its occupants a privileged location with excellent public transportation connections on the La Défense/Etoile/Saint-Lazare axis. 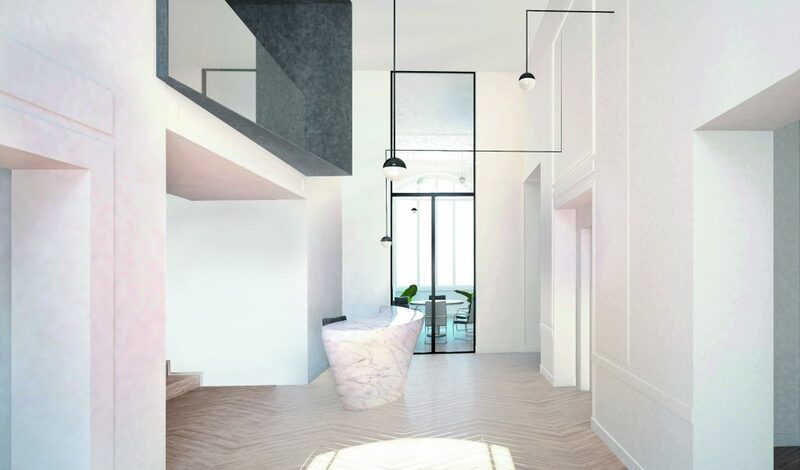 The 148 boulevard Haussmann is composed of two buildings arranged around two inner courtyards: the first building on the street side includes offices, apartments and shops on the ground floor. The second is a mixed office & housing building. It is also arranged around an inner courtyard offering quiet premises. 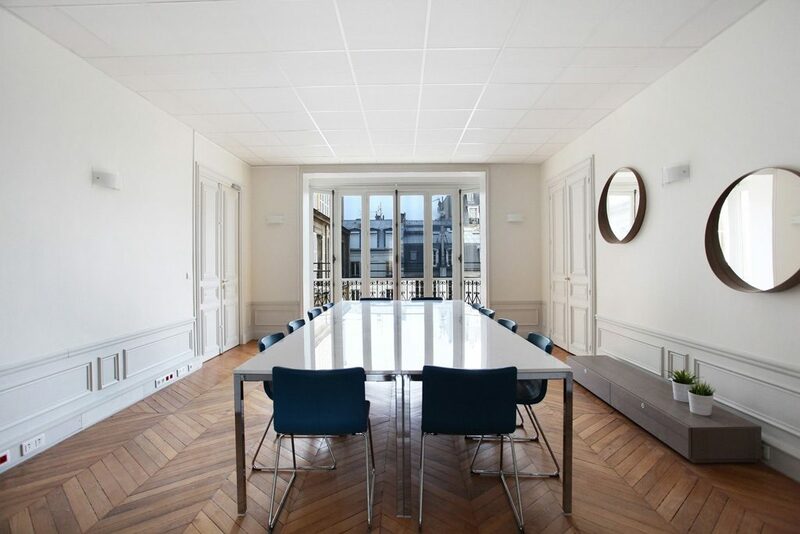 The 148 boulevard Haussmann invites its users to enjoy offices spaces with nice reception rooms, decorated with parquet, mouldings and very high ceilings, as well as recently renovated common areas. 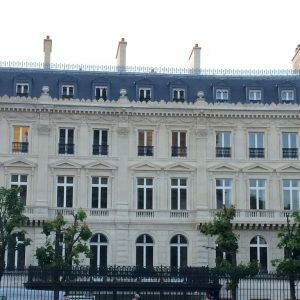 The 14 rue La Boétie is a beautiful four-storey Haussmann corner building located in the 8th arrondissement of Paris, close to the Place Saint-Augustin. As soon as they enter, this 19,000-square foot building welcomes its visitors in an elegant atmosphere. 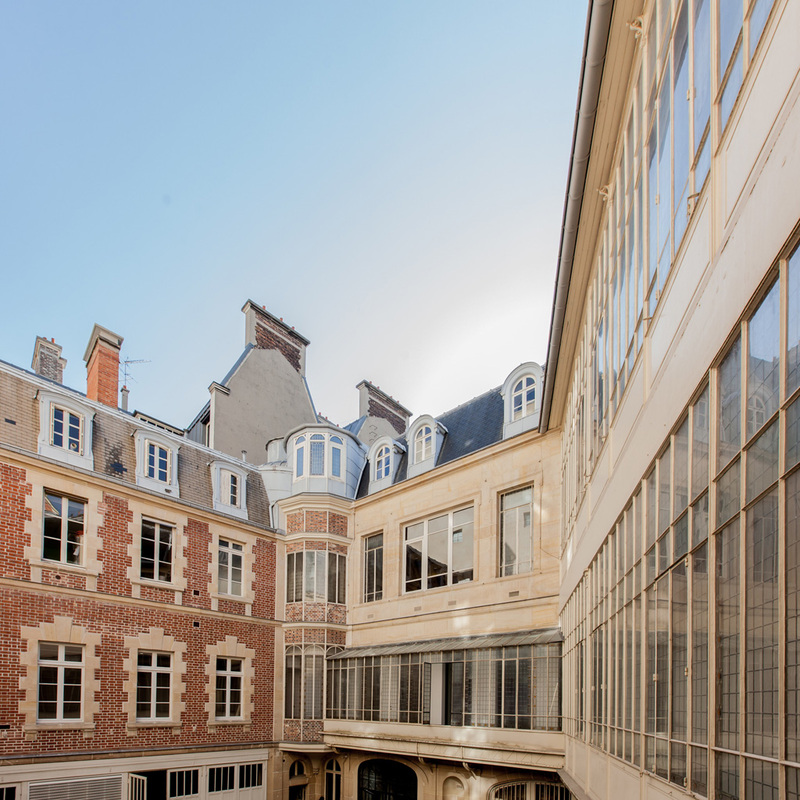 It offers a singular space, thanks to the remarkable alliance between the mouldings and frescoes in the rooms overlooking the rue La Boétie and the Art Deco stained-glass windows around the inner courtyard. 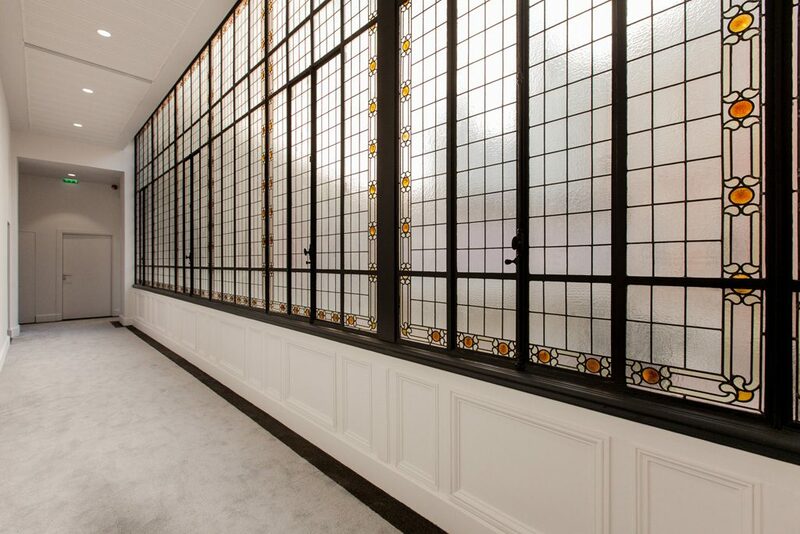 The 14 rue La Boétie gives a unique image to its lovingly renovated work spaces. 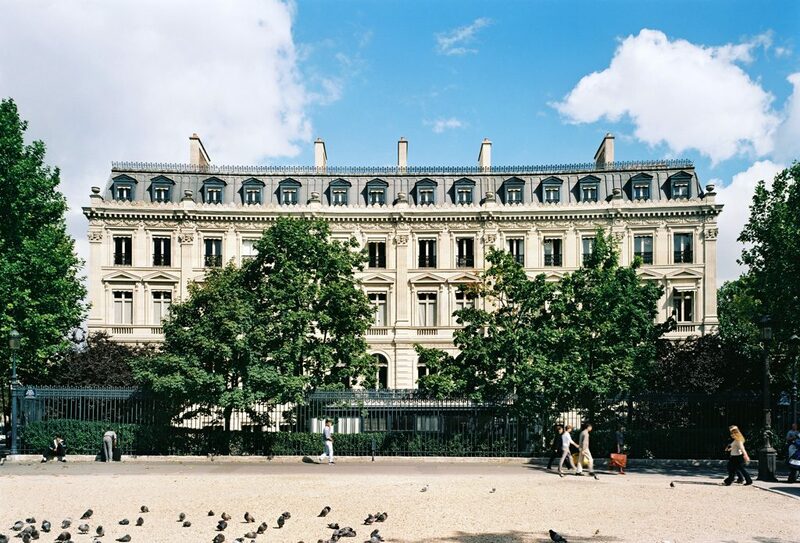 This 27,000-square foot building located in a quality street was built at the end of the 19th century and offers a beautiful Haussmann façade of cut stone, just a short walk from the Monceau park. 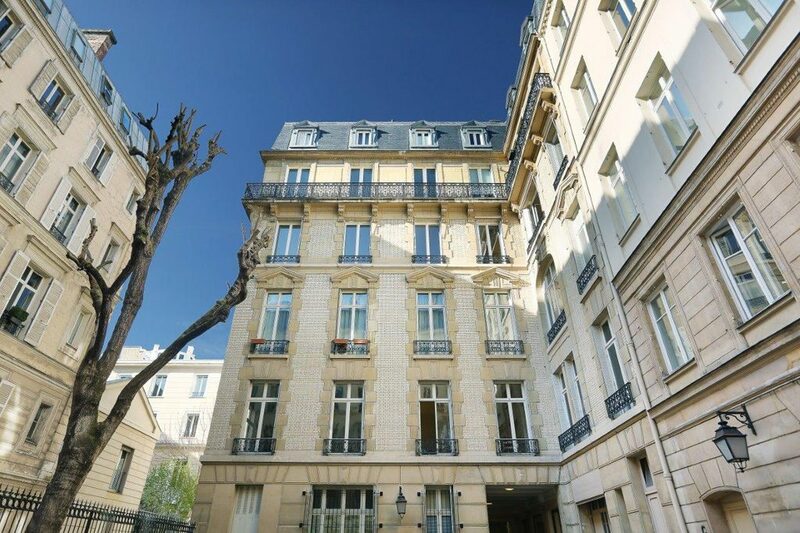 The 99 boulevard Malesherbes is a mixed use luxury building with a shop at street level, offices and quality apartments. The common areas were recently renovated with all the appropriate quality amenities. 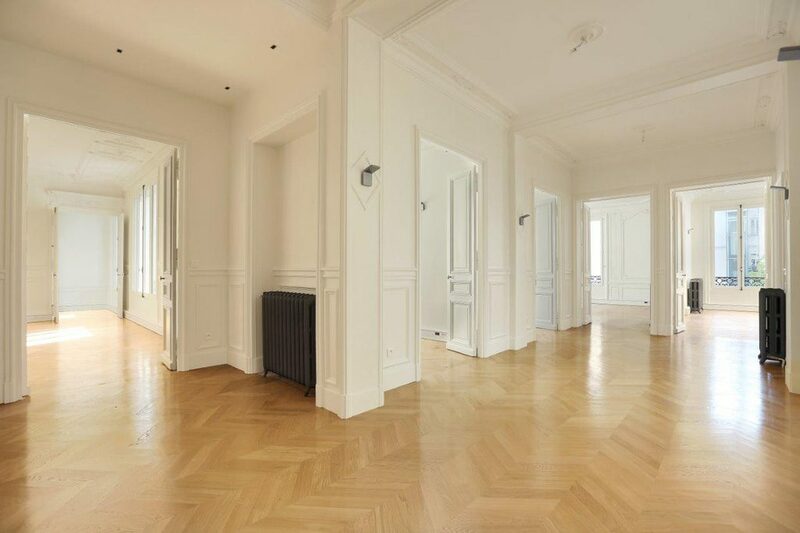 A prestigious setting near the Monceau park and the Saint-Lazare train station. This building, with a total surface area of 18,000 square feet meets the requirements for a head office with entirely refurbished inner spaces. 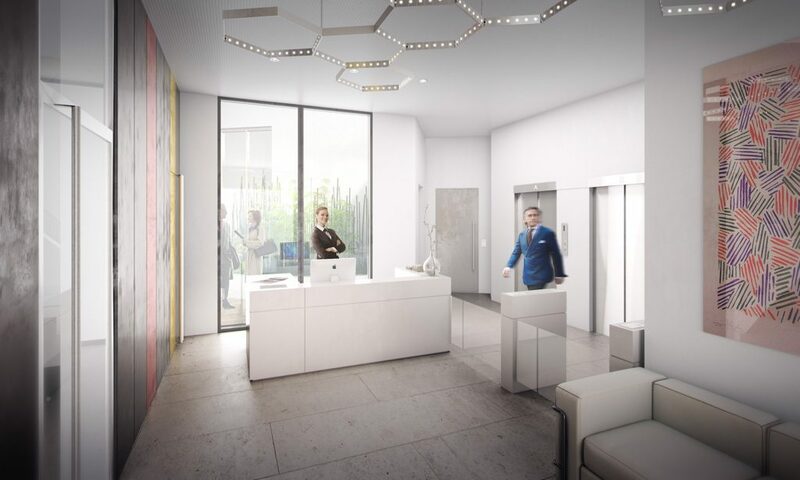 Its contemporary entrance hall is open on a landscaped courtyard and spaces for interaction. The building will be delivered at the end of 2016. 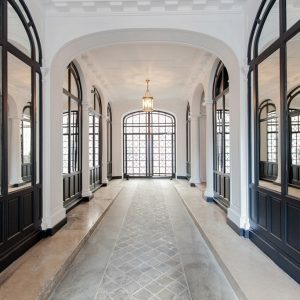 This 11,000 square foot mansion from the 19th century is undergoing a full-scale renovation conducted by Cabinet Hardel and LeBihan Architectes. This renovation naturally combines the current requirements of modernity, accessibility and performance, while respecting the authenticity of a building with a strong historical identity. The building will be delivered at the end of 2016 and has already found a buyer. 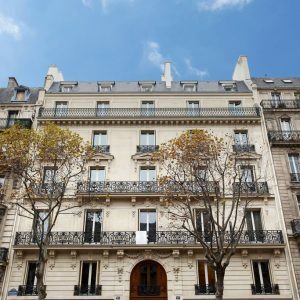 A stone’s throw from the Arc de Triomphe, this hôtel particulier built in the 19th century by the German de Ribon family boasts a great location in the heart of Paris. 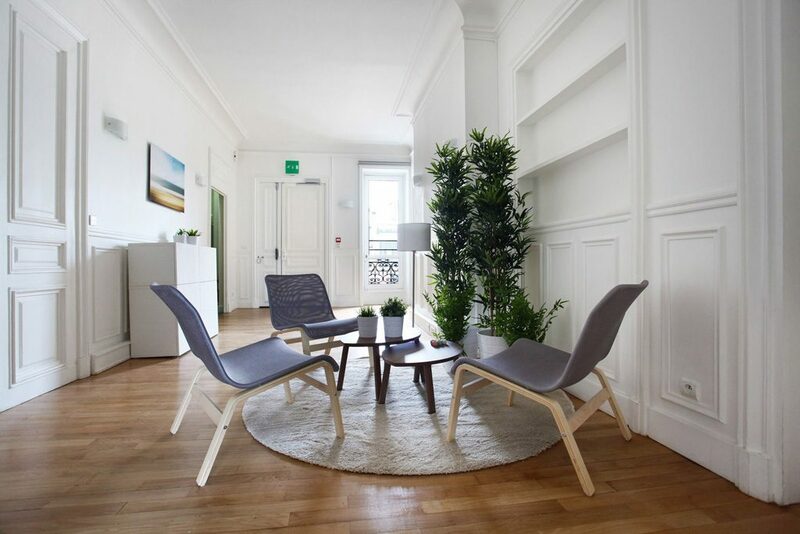 The Hôtel Kléber’s renovation provides 7,180 square feet of comfortable, functional offices. 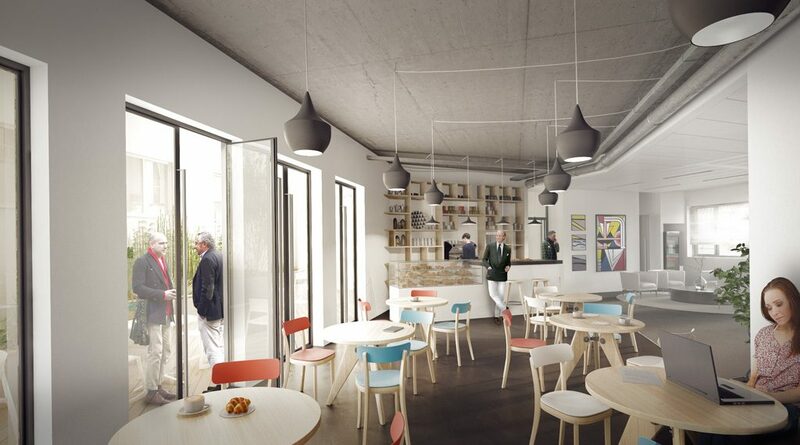 To ensure a healthy and effective work environment, Hôtel Kléber is aiming for the BREEAM in-Use Very Good certificate. The restructuring, designed by architects Atelier Caubet, will be completed in January 2017. A lease was signed in October 2016 for all available areas. 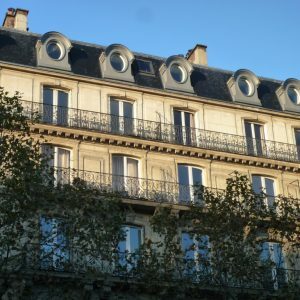 The property is one of twelve buildings encircling the Place Charles de Gaulle Etoile and the Arc de Triomphe: the “hôtels des maréchaux” built under Napoléon III. 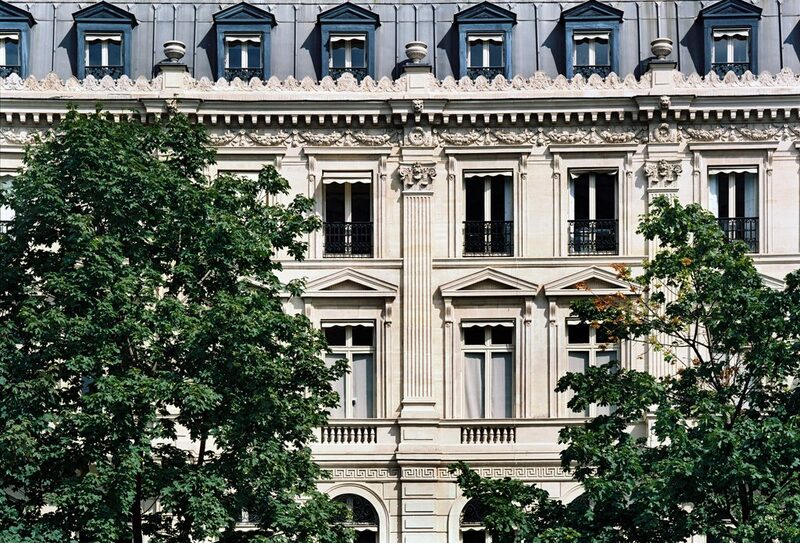 The strategically located building at 7 rue Tilsitt benefits from a prestigious economic environment, with a unique view, beyond the Arc de Triomphe, of the Eiffel Tower. The 36,000-square foot Günsburg Hotel has four upper floors, a ground floor and two basement levels to store archives. 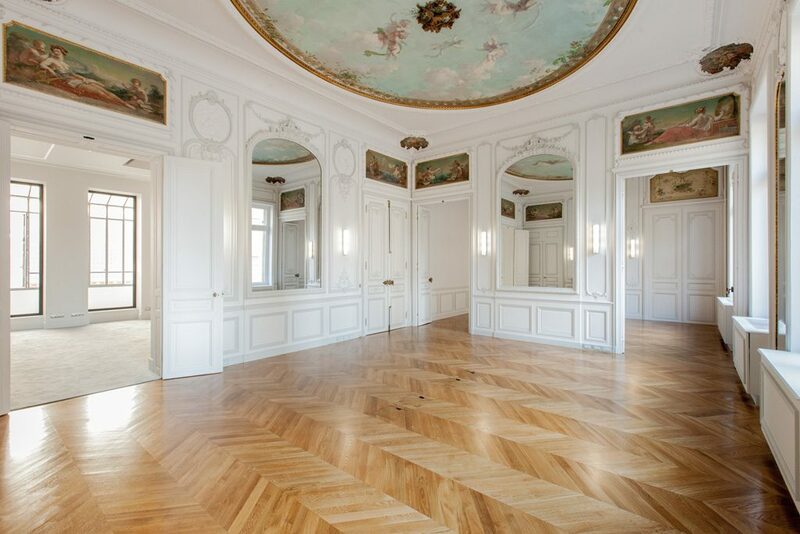 Since the end of 2014, this property is undergoing, while occupied, a renovation programme focused on the primary equipment and the promotion of its image. This showcasing will proceed with the future enhancement of the entrance hall and gardens, and with the renovation of the offices on the ground and first floors.